The Jarvis Model SPC 142 – pneumatically powered air saw. 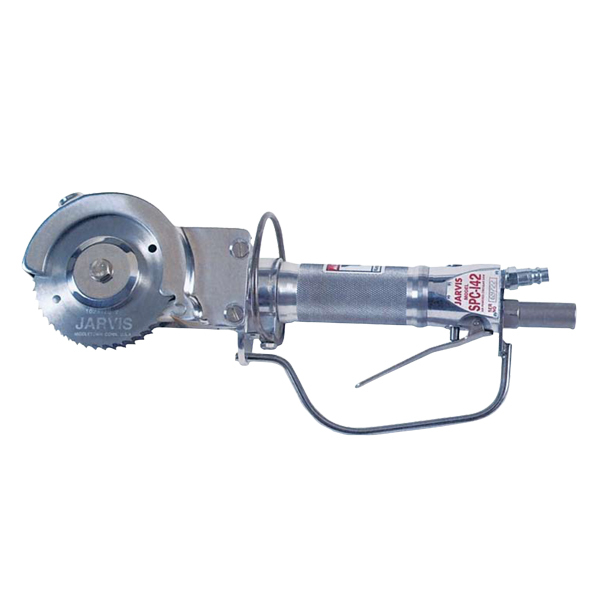 • The SPC 142 is ideally suited for opening up mis-split spinal cord cavities in pork. • Lightweight and flexible – allows operators to work single handed, both hanging and on the table. • More power – high efficiency air motor for more horsepower and lower operating costs. • Heavy duty gears made to withstand all uses in the packing plant. • Constructed from corrosion resistant material for optimum hygiene.